Rust-proof and zinc-plated housing. 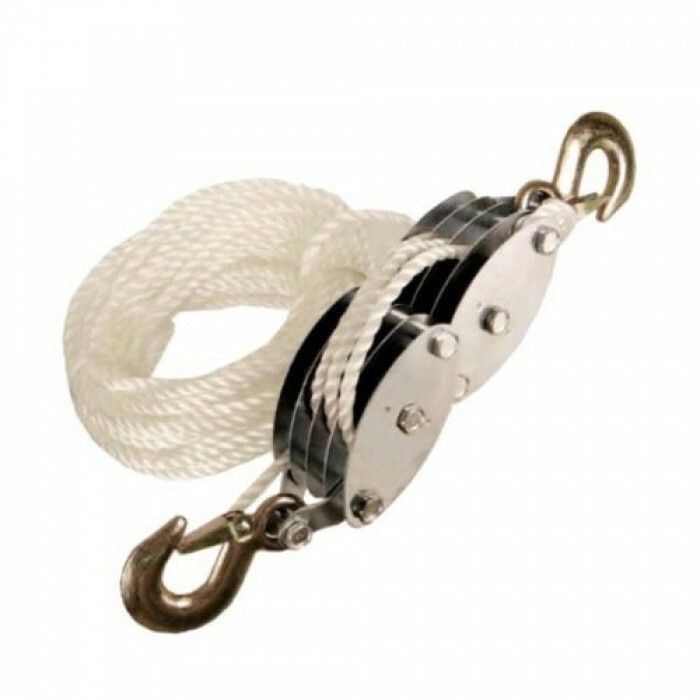 Features a strong, long lasting polypropylene 50 feet rope. Heavy duty, 2 ton capacity. Nylon rollers and welded rings. Double grip safety hooks holds the hoist safely in its place.